The ALLG Biobank is located at the Hunter Cancer Biobank (HCB) Newcastle, New South Wales, Australia. The HCB was established in 2012 as a joint initiative of Hunter Cancer Research Alliance (HCRA), Pathology North (Hunter New England) and Hunter New England Local Health District (HNE LHD). HCB values the delivery of high quality services and operates in accordance with all national and international guidelines. Facilitating research from fully characterized clinical samples will assist to harmonise relationships between Australia’s internationally renowned researchers and ALLG’s internationally recognized clinical research in the field of Haematology, Oncology and Bone Marrow Transplant. Together we can anticipate better understanding of the events leading to the development of haematological malignancies and of factors contributing to patient’s outcome, which will ultimately lead to better therapies and outcomes for patients. The ALLG has developed a sound and reliable Ethical Defensible Plan (EDP) in accordance with the NHMRC Ethical Conduct of Human Research section 3.5.1 “Where research may discover or generate information of potential importance to the future health of participants or their blood relatives, researchers must prepare and follow an ethically defensible plan to disclose or withhold that information”. This will describe management of any proposed disclosure or non-disclosure from biobank related research (investigator initiated clinical trials). 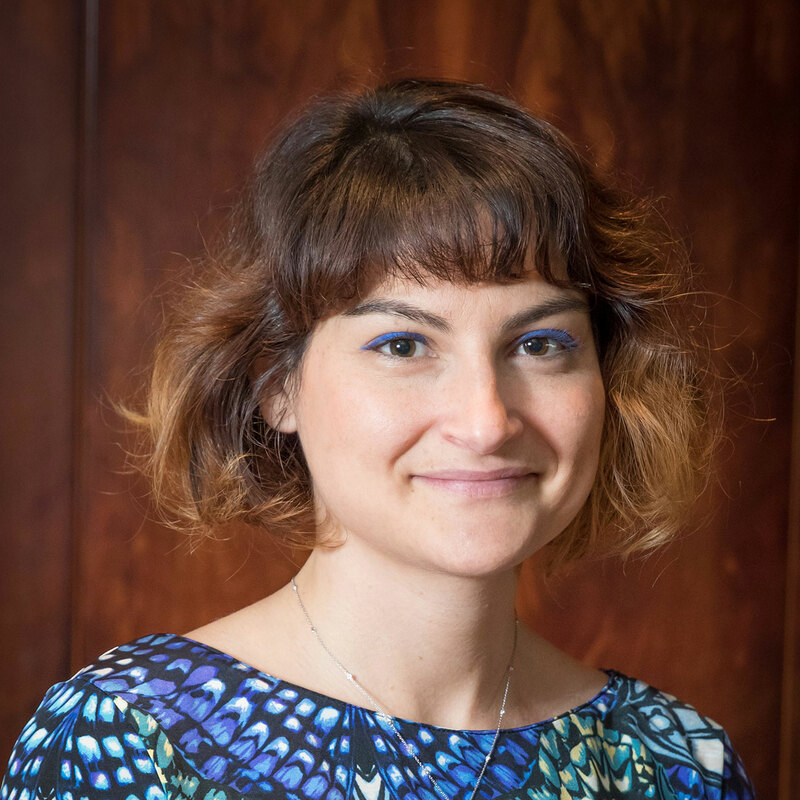 ALLG has appointed a biobank coordinator to manage the operations and logistics of biobanking. 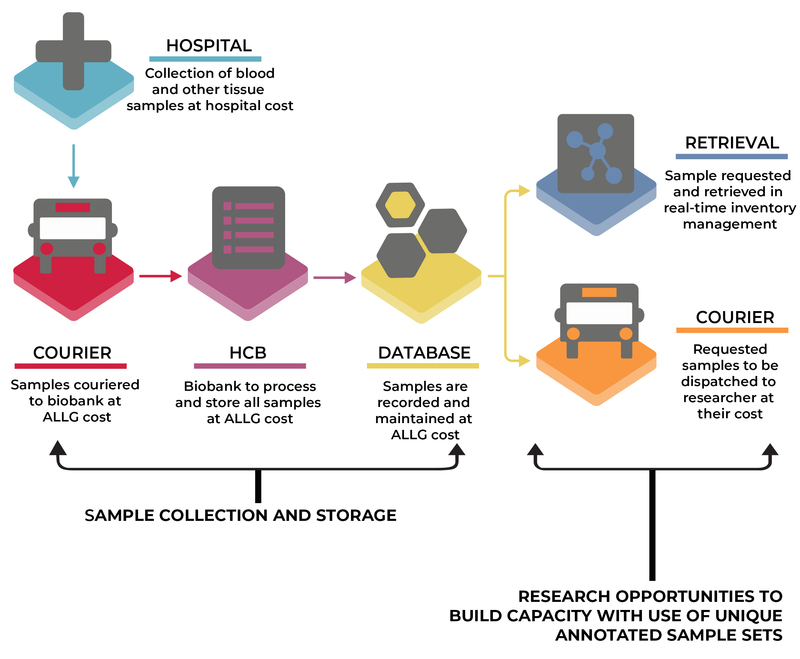 The biobank coordinator is the point of contact for all ALLG members, trial centre and committees, and will facilitate workflow between the ALLG and HCB. 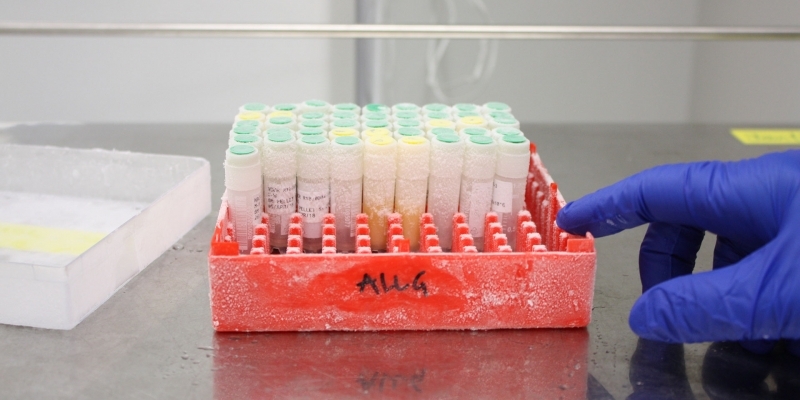 The coordinator will assist with researcher requests for samples & data, and provide scientific and technical guidance (shipping, sample processing, and protocol development).